Will Jim and Kalki click in Made In Heaven? 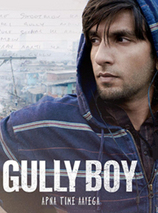 Box Office: Gully Boy is a hit! Will Kalank be Varun-Alia's BIGGEST OPENER? Please watch Made in Heaven today! Zoya Akhtar and Vidya Balan announce the nominations for first Critics Choice Film Awards!